The Ramada Temecula Old Town is centrally located between San Diego and Los Angeles, about 20 miles from the Pacific Ocean. We are conveniently located near I-15 and all major attractions, we are within walking distance to Old Town Temecula and its famous antique shops, historical buildings and great restaurants. Temeculas many wineries are only 10 minutes away. Minutes to renowned golf courses, Vail Lake Recreational Area, Lake Skinner, Lake Elsinore, Murrieta Hot Springs, popular Glen Ivy and hot air ballooning. Las Vegas style casino fun at Pechanga Casino and Resort is only two miles. The Ontario airport is approximately 40 miles away. Guests will be able to reach San Diego and its airport in about 60 miles and Palm Springs in 70. To enhance you visit, the property offers complementary wireless internet access and a continental breakfast. The property is also adjacent to two restaurants. Many other distinct dinning options are also available within a short drive from the property. There are 70 rooms on two floors at this hotel. Children 17 and under stay free in their parents room. 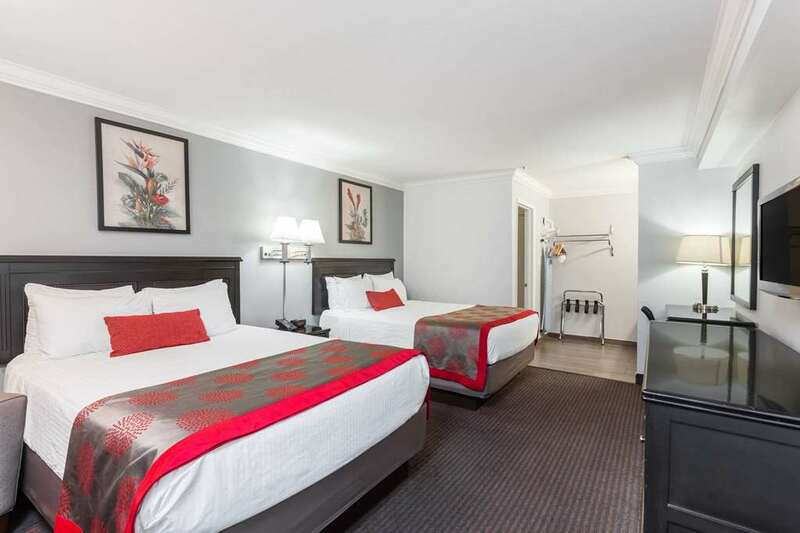 Standard amenities include a coffeemaker, iron, ironing board, hairdryer, refrigerator, microwave, and HBO.